The EOFY means tax back, sales, and MORE sales. And this EOFY round, we’ve outdone ourselves…. We’re hosting our huge TAX TIME SHUT DOWN event this Saturday. It’s your absolute last chance to save on the Mazda of your dreams. Get into the tax time spirit, because we’re offering unbeatable deals on every model. Save on new, demo and company vehicles before the end of the financial year. We’ve got you covered! Unbelievable savings, unbeatable value across the range, and undeniable perks. We’re even offering $500 tax time bonuses on selected vehicles. 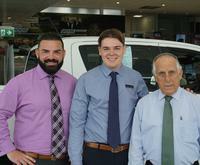 Customer satisfaction is at the forefront of our business, and that’s just what we’ve set out to achieve. We want to see our customers saving on the Mazda of their dreams and the happiness, luxury and enjoyment it adds to their lives. 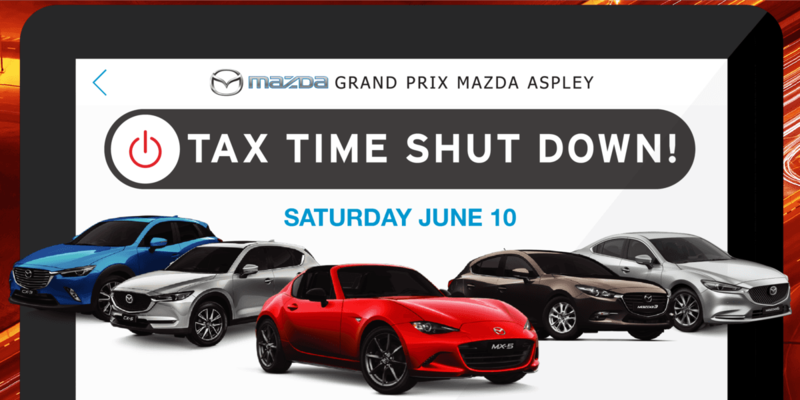 This one-day tax time event will be held at our astounding Aspley showroom and will be celebrating everything tax and everything Mazda. Luke Camilleri will even be shouting coffees to help keep those winter chills away. 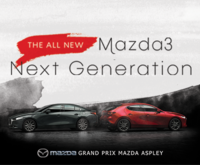 Whatever your Mazda needs, whether you’re after something cutting edge, perfect for those inner-city vibes; something with a little bit more space, suitable for the tribe; or, maybe…. you want THE POWER! 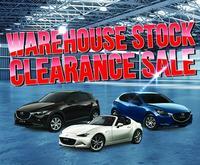 Whichever Mazda you’ve been holding out for, we guarantee it’s got savings. To top it off, we’re offering next day delivery. Or, if you get in early enough you could be driving out in your brand-new Mazda the same day!